Richard is a Professor in Kinesiology & Health Science and also in Psychology at Utah State University in Logan. 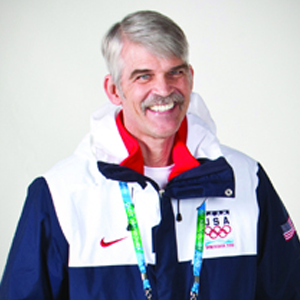 Rich has been the Sport Psychologist for the US Olympic Team for over 35 years and has participated in more summer and winter Olympics than any other Sport Psychologist in the world. He translated and recorded the Swedish Mental Training in English and has applied the mental training to both the Olympic Sports as well as to the best US golfers. Richard cohosted the 1998 Congress In Salt Lake City and is also a board member in this Congress. My journey began in the late 1970’s and continues today. In this keynote address, I will disclose what has been advantageous to help high level performers achieve best performance upon demand. The mental training programs that I have utilized for the past 40 years will be elucidated and several examples and stories will be used to explain the programs. This will be an applied session and will be helpful to the congress participants who are looking to improve applied sport psychology practices.